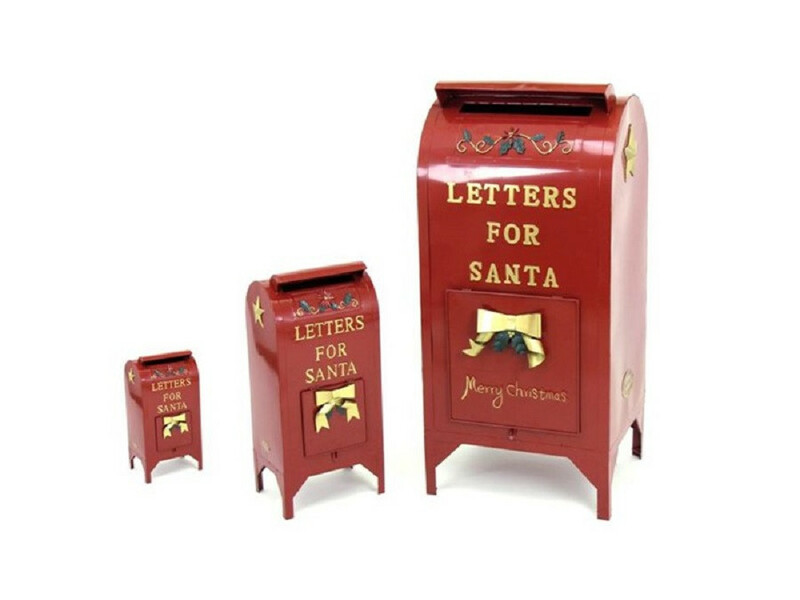 Large Santa's Mail Box with Medium and Small Mailbox - made of Iron and powder coated. Letters to Santa Mailbox is a wonderful addition to any Christmas display. The door opens at the bottom to collect the letters. This fully functioning mailbox is a fun addition for children to drop in their letters to Santa Claus. Dimensions are: Large - 46" H X 18" W X 21" L.
Medium Mailbox dimensions are: 11" L X 9" W X 25" H.
The medium size box is great for smaller children to reach or set on a counter top. New for 2017 this set now includes a third mail box that is 13" tall! Beautiful Mail Boxes for any scene or stand alone.